Our pets can be the perfect partner for those late-night cuddles, but what about if they start to smell? It might not be so appealing to cuddle up with them after all. This can also have many of us asking one question: how often should you clean your dog or cat? Many people believe that cats come with in-built grooming kits. While their tongues and teeth are great for removing a lot of loose hair and dirt, many felines have too much hair to control on their own. This is where a helping hand can make all the difference. There are several brushes and combs on the market, so it’s essential to choose the right one for your cat’s fur length. For those with short hair, they can usually cope with just two or three brushes a week. However, cats with longer hair benefit from one or two brushes a day to reduce the chance of any matting. Yup, three words that should never go together. Unfortunately, most cats hate the idea of stepping into a bath - and we can’t say we blame them. Thankfully, it’s only necessary if your feline friend had rolled in something smelly or sticky that can’t be removed with brushing alone. 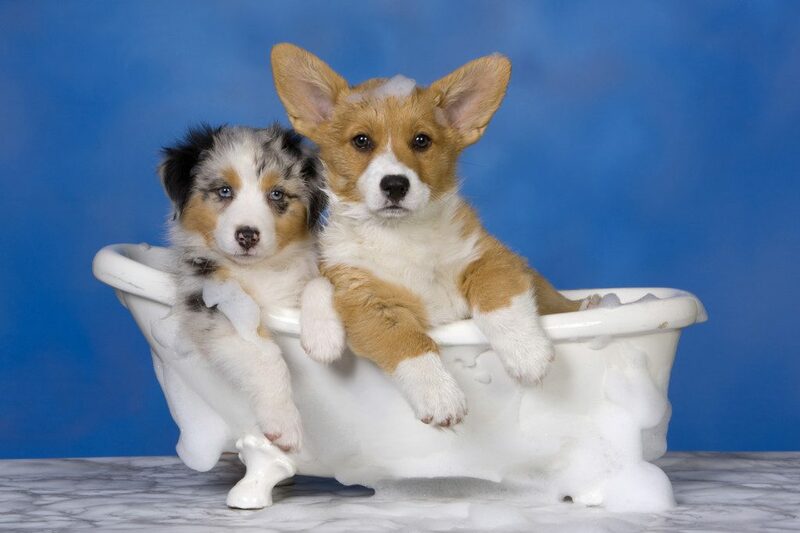 It’s important to have warm, not hot, water, and to keep their head away from the bath. Then, all you need to do is use a special cat shampoo to wash the area. If you don’t want the fight, then why not book your kitty into a groomer's instead? Dogs come in all shapes and sizes, and nearly every breed has its own unique fur! Their brushing routine all depends on your four-legged friend. 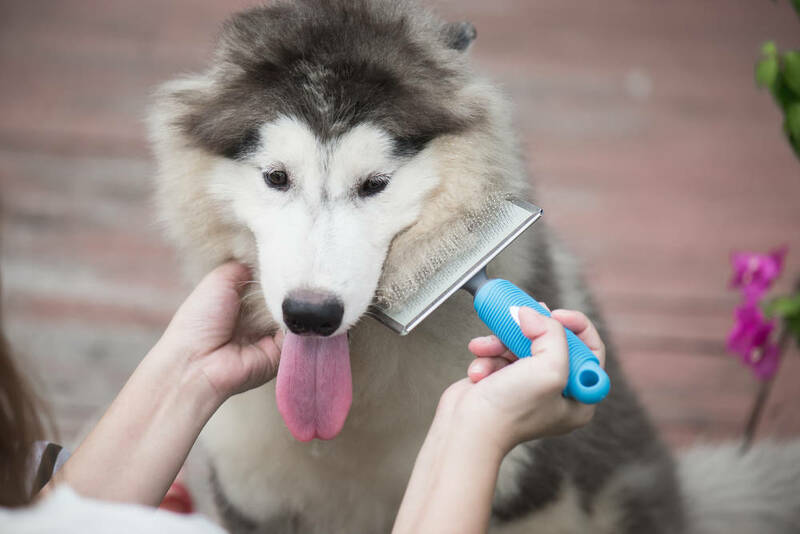 Brushing can help to remove the build-up of any debris in their hair, and all breeds of dogs can benefit from a good groom every two days. However, those with longer coats might need more frequent brushing to ensure they don’t end up carrying around any dirt they might have picked up in their fur or get any mats in their coat. Once again, it seems as though it depends on the size and lifestyle of your dog as to how often you should bathe your canine. Over-washing can have adverse effects as dogs need the natural oils in their cost to keep their fur and skin healthy. Too much shampoo might lead to dry skin issues. However, it’s thought that most breeds only need to be washed every three months. On the other hand, some dogs might need washing up to every two weeks if they begin to smell. The more brushing we do with our dogs, the less bathing they should need. 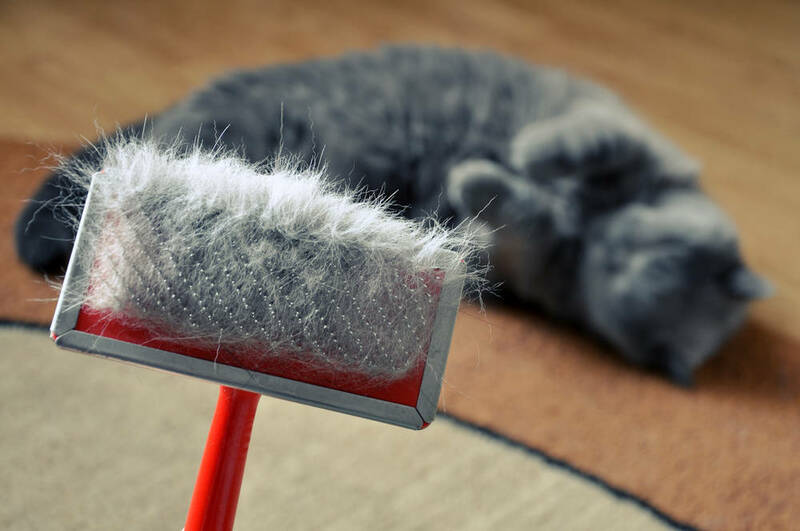 While there might not be a one size fits all cleaning routine for our cat or dog, it seems as though most can benefit from a regular brush. As if that wasn’t enough, this can also be the perfect opportunity to bond with our pets.